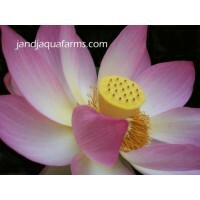 These plants will instantly enhance your pond environment with color and cleansing biological action. 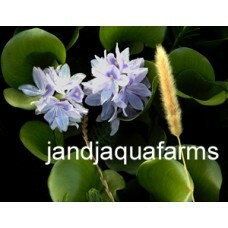 Water Hyacinth will often stimulate spawning of koi and goldfish, as it is one of their preferred spawning substrates. 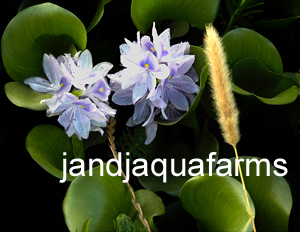 Trust J and J for disease and weevil-free Water Hyacinth. Our experienced biologists treat each plant to insure is is free from disease or parasites. Our facilities are state inspected and licensed. 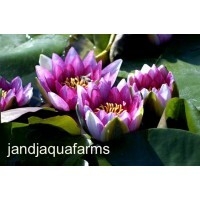 You are bidding on over 4 dozen (50) plants. They are adult plants, but early-season (pre May) plants are trimmed to 3-4" in diameter to save you on shipping. While we gladly replace plants damaged in transit, please order when your area is past severe frost. if multiple items are purchased and paid together! (by Paypal, M.O., Amazon Payments, etc.). Hardy (will survive winters) to zone 8. Other zones normally buy fresh plants every year.